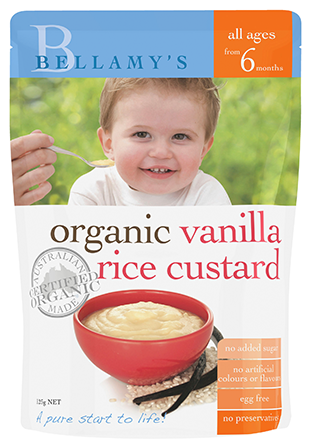 Our Organic Cherry Custard with Cacao forms part of a new and exciting range of no added sugar custards offering the goodness of organic milk blended with cherry to provide a delicious and naturally sweet taste for your baby. Pouch can be served cold or warm. Contains milk. May contain traces of gluten & soy.